I am not quite sure that friends and family understand why I really want to lose weight during this pregnancy. Or other people! With my previous pregnancies I literally ate for two! It was wrong, because I faced the consequences at the end. I gained 7 stone with my first and even though I lose more than half of that gained weight a few months after I had Mia, I went to gain 2-3 stone during my second pregnancy. I have many people who are shocked or even question me to why I want to lose weight whilst pregnant and I thought this post may cover their questions. I have always had trouble with my weight. It really gets me down. Many days of the week I stand in front of the mirror and think how disgusting I look. I even wonder why my partner is with someone like me. I lost 3 and a half stone in 2014/2015 and I think to myself why in the world did I let my self put it all (nearly) back on? Why did I let myself go? I was happy and proud of myself. I actually started to like how I looked. Although, I really want to lose weight, like badly. I do find it quite hard to keep motivated all the time. Doesn't make sense does it? You'd think that someone who badly wants to loose weight, that they can keep focussed and keep their mind at it until (and after) they reached their target. But that's not the case. Not for me anyway. I do struggle and I am not scared to admit that. They are my personal reasons to why I want to loose weight and why it is important to me. 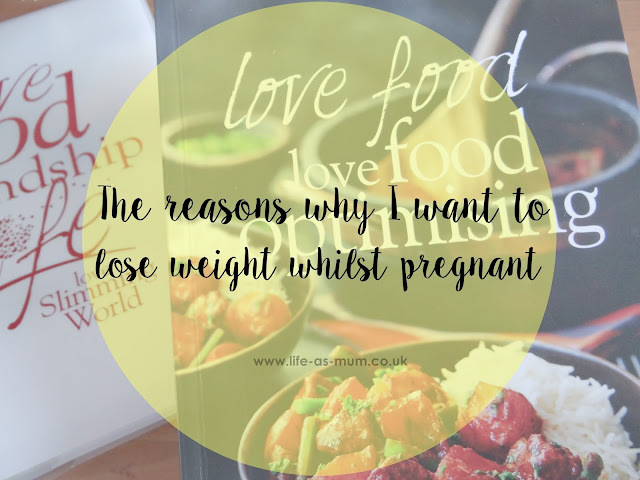 It really puts me down when I think about the reasons I gained weight in my last pregnancies. My reason was 'I'm pregnant', like I had to gain weight. That is not what I need to hear or use this time round. I want to be able to run around with my kids and especially having 3 kids to look after at the end of July, I think it is really important for me to get my head down and just loose this weight and never put it back on! Did you ever lose weight during pregnancy? I also gained 3-4 stone with my first and made sure the second time round i wouldn't and kept a very active lifestyle .. i only gained a stone and she weighed nearly 8 lbs!! Good luck I'm sure you'll do great! I've never thought about losing weight during pregnancy, and I've never been pregnant so that's probably why. Friends though have lost weight - often in the earlier days when it can be rough, but either way you shouldn't need to justify yourself as long as you and the baby are healthy. but before using any fat burning, diet pills or weight loss tea you should visit your doctor. Try some and good luck. Superlative style of composing that each new blogger tries to have. A big round of applause for the amazingly written blog. The writing of this blog is simple yet so powerful and strong.